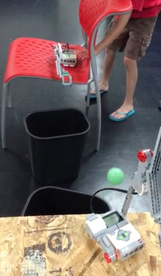 ROBOT COMPANIONS AND LEGO ENGINEERING WORKSHOP SECOND SESSION: LET’S PLAY INDOOR BASKETBALL ! 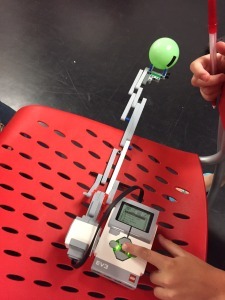 In this second session, students worked in teams of two to build a LEGO catapult. Again, the students were assisted by Nao robots, Fred and Wilma. Building a catapult is a complex task and it required the children control their anger and frustration. 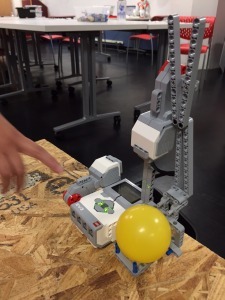 During this session, they were introduced to how to program the LEGO EV3 robot. The photo below shows their awesome creations and the competition between the teams at the end of the session.